This was not in fact originally made for television, although something about it has that feel. 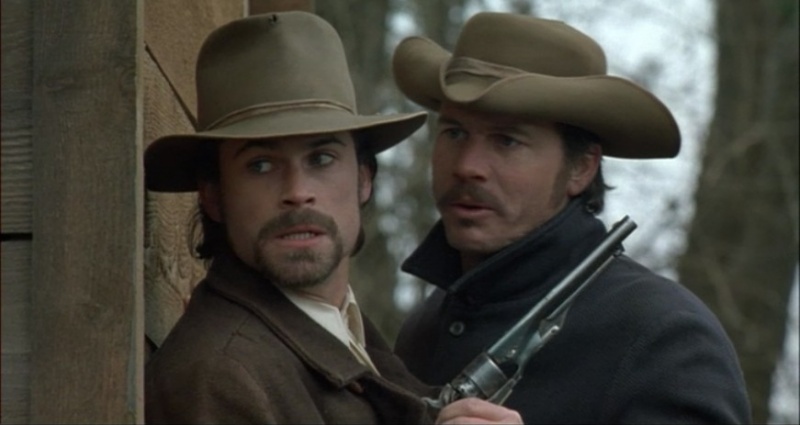 The best actor in this film is Bill Paxton, who plays Frank James, although Rob Lowe as Jesse James is better than you’d expect. 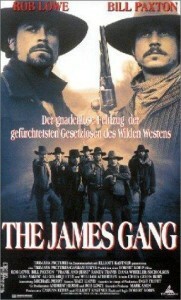 There are lots of historical inaccuracies, but it’s not terrible; there are many worse Jesse James movies out there. This sticks to some of the facts about the James brothers, using the dates for some of their better-known depredations. But it juggles around others and feels free to invent things whenever it wants. 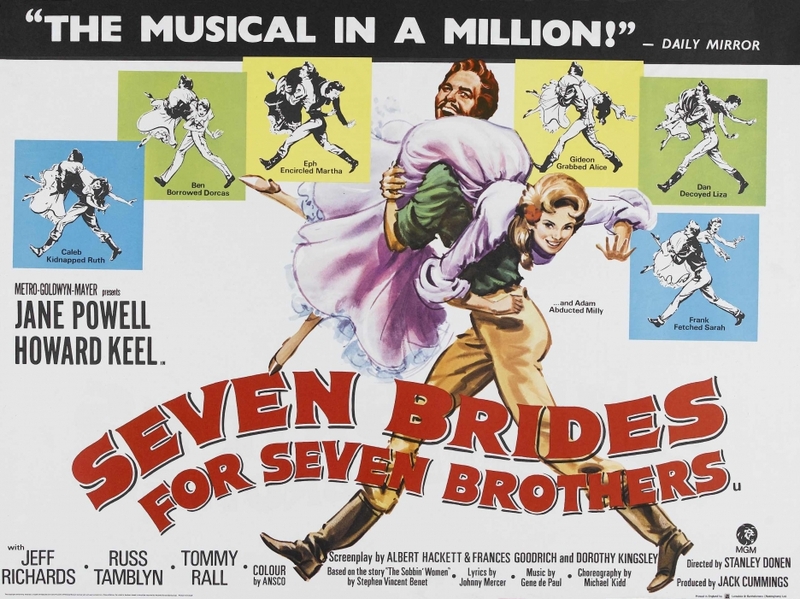 The outlines of the James brothers’ story are familiar by now. Frank and Jesse are veterans of the Missouri border wars in the Civil War, having ridden as guerrillas with both William Quantrill and Bloody Bill Anderson. 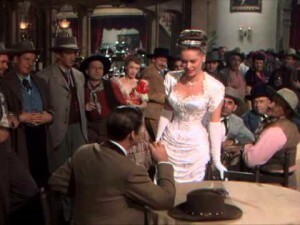 (Frank refers to both of them having participated in Quantrill’s infamous raid on Lawrence, Kansas. Frank was probably there, but Jesse wasn’t.) They are less than comfortable in a post-war Missouri where carpetbaggers and avaricious Yankee railroads play prominent roles, oppressing honest citizens. 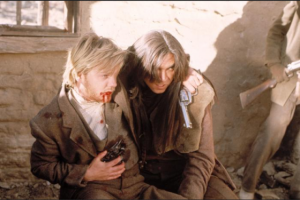 Pinkertons hired by the railroad attack their mother’s home (the famous attack is out of sequence in their career, and the results weren’t exactly as depicted); the brothers pay the mortgage for a widow who helps them. The James brothers (Rob Lowe as Jesse, Bill Paxton as Frank) on the run. 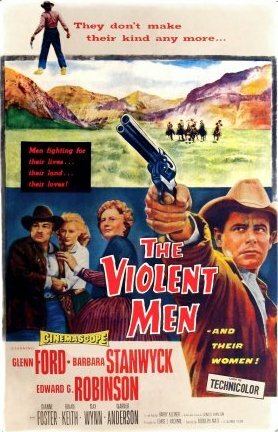 They are driven deeper into a life of crime, assembling a gang with the Younger brothers, Bob and Cole (Randy Travis), Clell Miller, Archie Clements (who was actually killed during the war) and the Ford brothers (much earlier than the Fords were actually involved with the Jameses). They rob the Gallatin bank in 1869 (it actually took place in 1866), killing the Yankee manager who insults their Confederate service. Frank is depicted as against killing and being the brains behind the gang’s public relations activities. Jesse is colder and quicker to kill. We are glad when Frank loses the distracting tricorn hat. 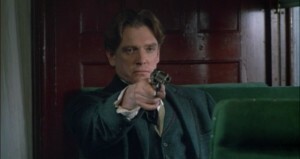 The gang robs trains, on one of which they encounter Allan Pinkerton (William Atherton, whom we are quick to recognize as slimy after his roles in the Die Hard movies), which never happened. Jesse and Allan Pinkerton never met, as far as we know. The famous Northfield raid of 1876 is not very accurate. When the gang arrives in September, there is snow on the ground. 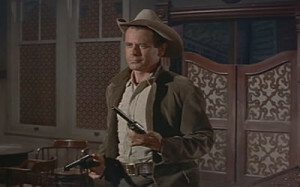 The gang shoots down a number of townspeople; in fact, two people were killed, aside from gang members. It shows Charlie Ford having previously warned the Pinkertons of the raid, which didn’t happen. 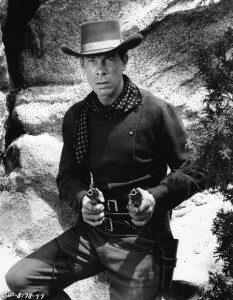 Both Cole and Bob Younger, as well as their brother Jim, who is not shown in the movie, were shot up. 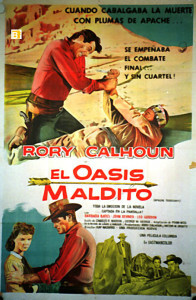 But Cole didn’t kill a dying Bob, as shown here. All three Youngers were taken prisoner, and Bob died in prison some years later. Nothing much is shown of the six years between the Northfield raid and Jesse’s killing in St. Joseph, Missouri, in 1882. 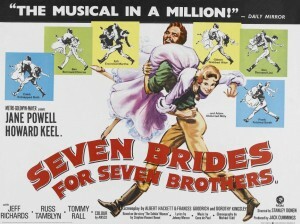 Both Jesse and Frank get married, to Zee (Maria Pitillo) and Annie (Dana Wheeler-Nicholson), and attempt to have family lives while on the run. 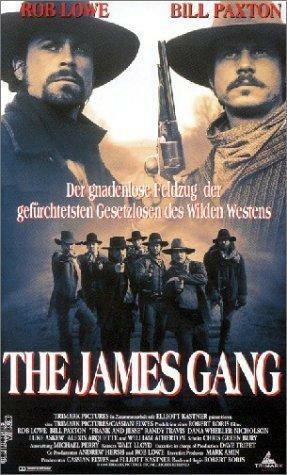 Allan Pinkerton (William Atherton) has the James gang in his sights. In the end, the Ford brothers approach Jesse with the intention of killing him, motivated by both threats and promised rewards from Pinkerton. 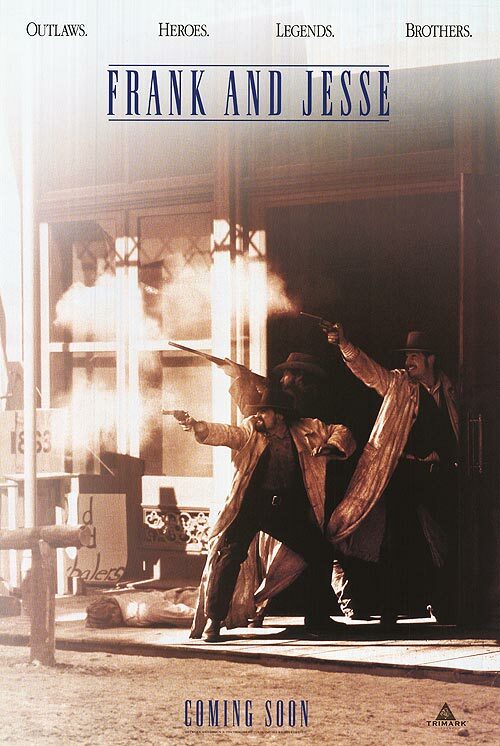 This shows Charlie doing the shooting, when it was Bob who killed Jesse. 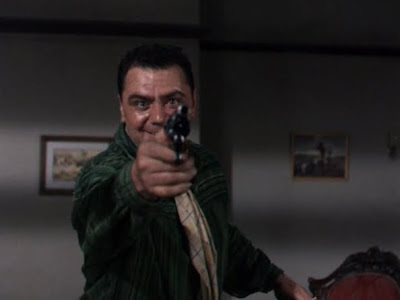 It depicts Jesse as knowing what was coming, cooperating with it, returning the gun and even deliberately turning his back for the shot, thinking it would get the authorities off Frank’s back. 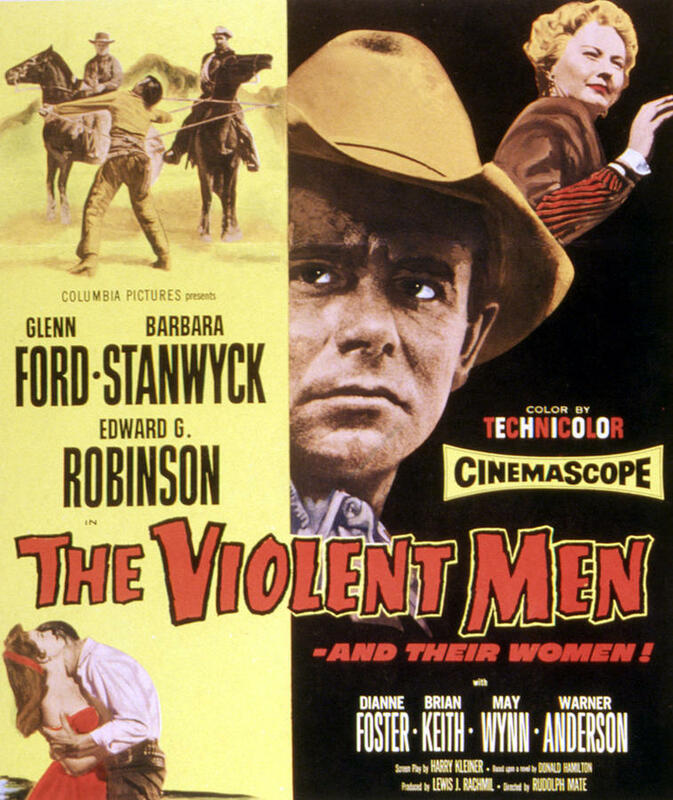 This is not in the same league with The Long Riders (1980) and The Assassination of Jesse James by the Coward Robert Ford (2007), but it doesn’t have that kind of ambition. It’s better than American Outlaws, for example. 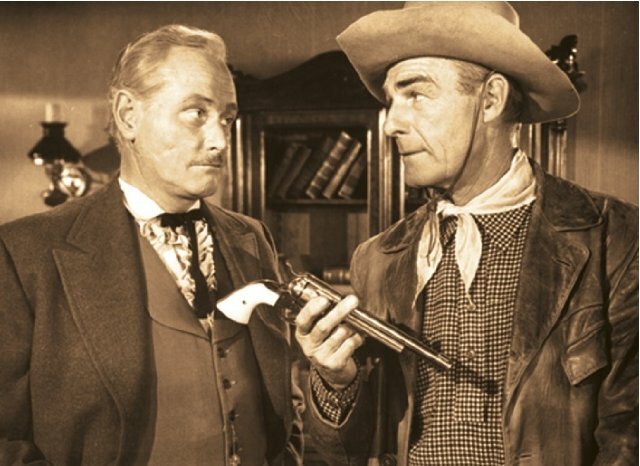 It’s worth watching for its version of the interplay between Frank and Jesse. A little familiarity with Jesse and Frank’s careers and chronology is helpful, but don’t take them all that seriously. Just enjoy this for what it is, including the fact that Rob Lowe isn’t as bad as you expect. He makes a decent Jesse James, better than many on film. Enjoy William Atherton’s malevolent self-righteousness as Allan Pinkerton. 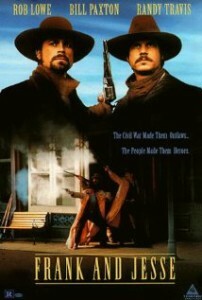 Bill Paxton and Dana Wheeler-Nicholson had parts in 1993’s Tombstone, as Morgan Earp and Mattie Blaylock, respectively. 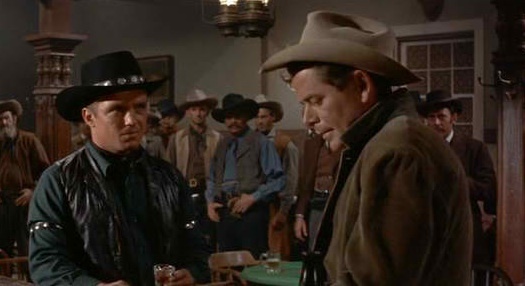 Normally, the presence of a country music star in a western is not a good sign, but Randy Travis is better as Cole Younger than some others have been, with a distinctive voice that seems to fit. 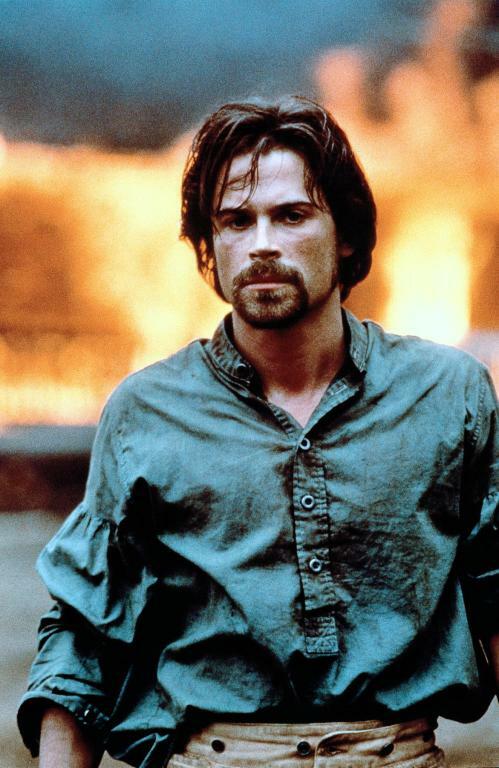 Sean Patrick Flanery shows up as a Chicago Tribune reporter, a sort of sympathetic counterpoint to Pinkerton. 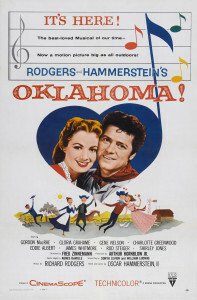 In color, rated R, written and directed by Robert Boris at 105 minutes. Apparently its numerous departures from the facts were made consciously. 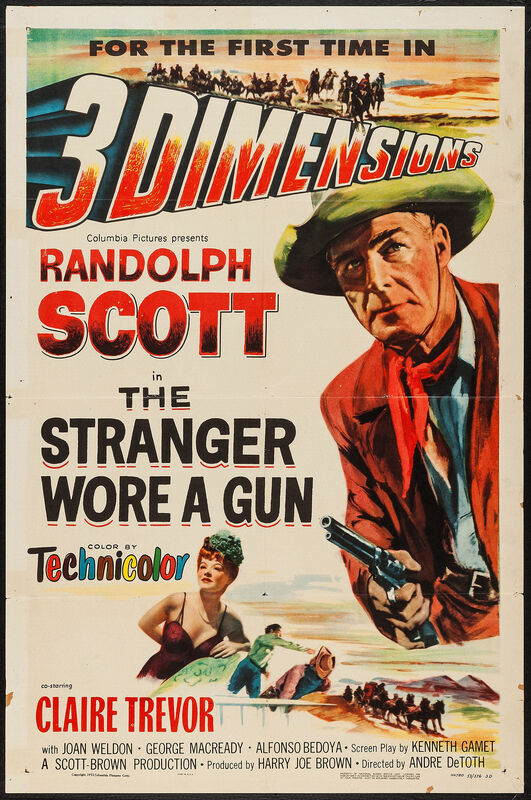 At the end of the movie, it makes this disclaimer: “This motion picture is based upon actual events. However, some of the characters and incidents portrayed and many of the names used herein are fictitious; any similarity of such character, incident, or name, to the name, characters or history of any person, whether living or dead, is entirely coincidental and unintentional.” The title is sometimes written as Frank & Jesse. 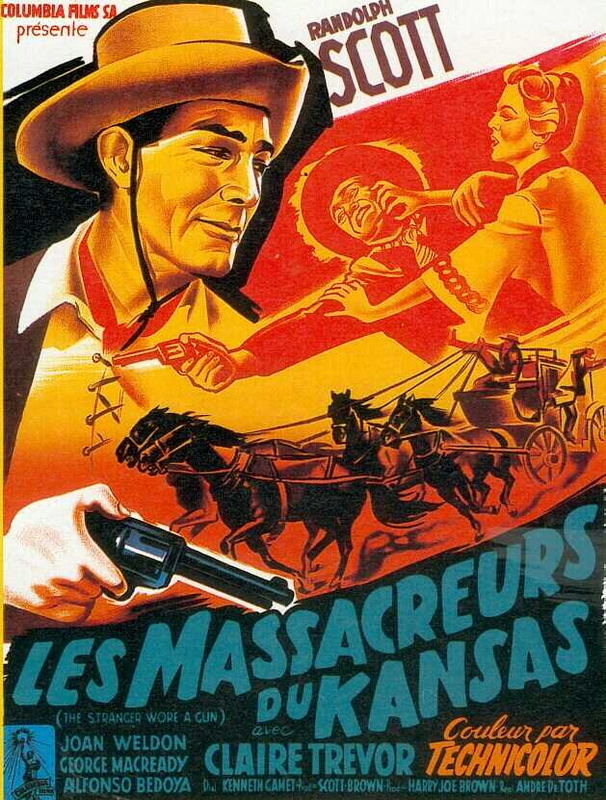 This entry was posted in Westerns Worth Watching and tagged Jesse James, Outlaw Gangs, Train Robbing on February 16, 2015 by Nicholas Chennault. This is a Wallace Beery vehicle, with Beery doing his patented old-cuss-goes-straight-through-love-of-a-child shtick, which had worked so well in The Champ with Jackie Cooper almost a decade earlier. 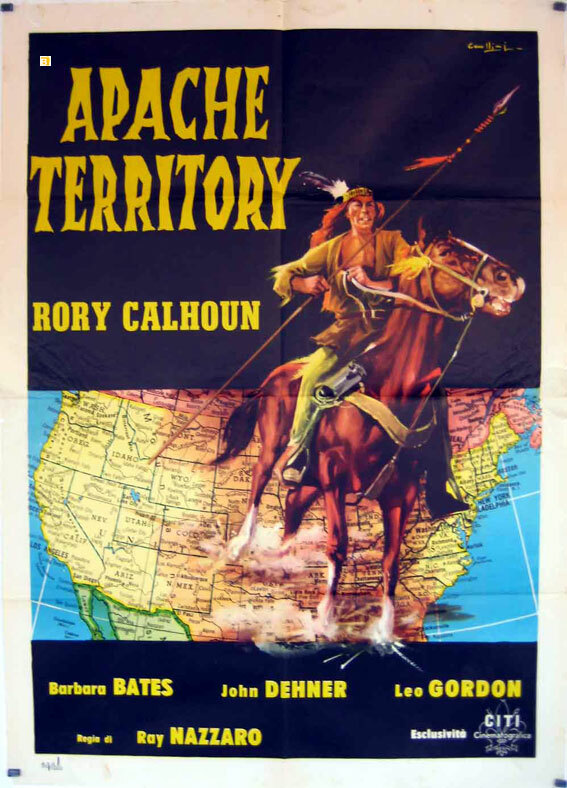 This time it’s set in the west, in Wyoming, to be exact. George Custer is still alive, so it’s 1876 or so. 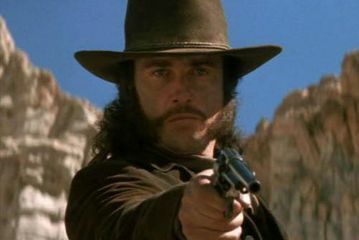 And Custer is still a hero, as he would be in the biopic They Died With Their Boots On (where he was played by Errol Flynn), released about the same time. This is also the first cinematic pairing of Beery and Marjorie Main as a quasi-romantic cantankerous older couple, which they would repeat in Bad Bascomb, among several other films. 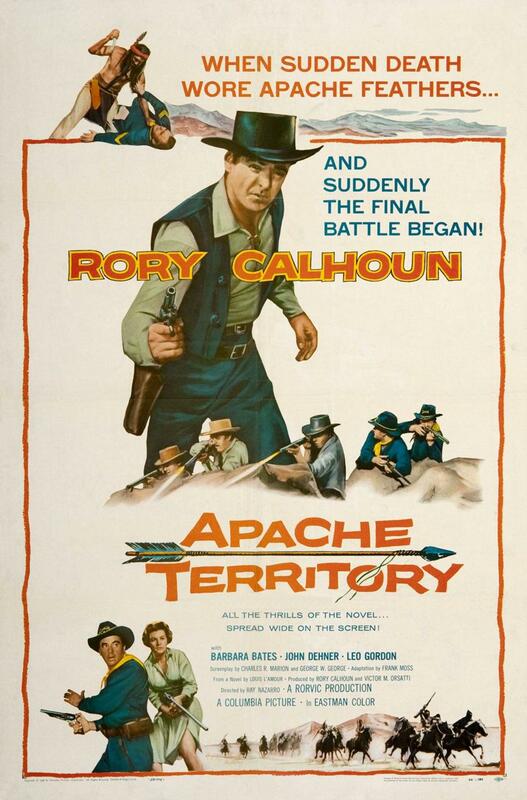 It is also a range war story, with Sitting Bull’s Sioux thrown in for good measure. 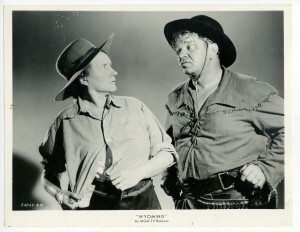 John Buckley (Joseph Calleia) and Reb Harkness (Wallace Beery) become adversaries in the local range war. Reb in turn takes Dave’s horse and equipment as they get close to the ranch. Dave happens upon horsemen making off with his cattle and is shot down. Hearing the shots, Reb turns back and finds Dave’s body. 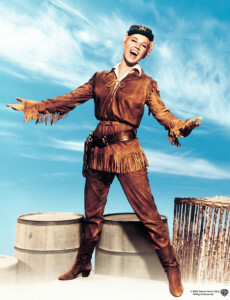 He takes it to the ranch, where he meets Dave’s daughter Lucy (the young Ann Rutherford) and young son Jimmy (Bobs Watson). He also meets, and is taken with, Mehitabel (Marjorie Main), the local blacksmith’s sister. 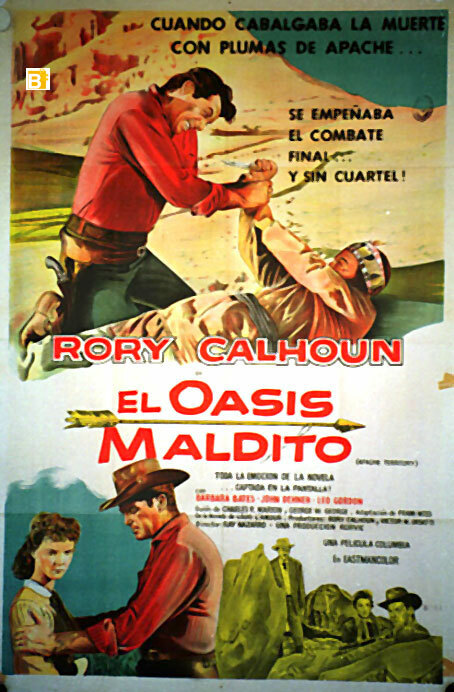 The town and the Sweetwater Valley are increasingly controlled by John Buckley (Joseph Calleia), who feels free to make off with any cattle in the vicinity and wants to acquire all the land. Reb hopes to even things by robbing a stage with several of Buckley’s men, returning after selling the Kincaid cattle. 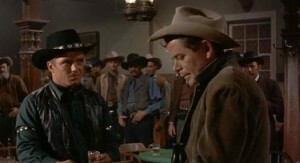 In a shootout, Reb kills them all; he gives the money to Lucy. When Mehitabel shoes his horse, Reb is even more infatuated with her. 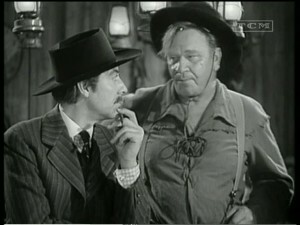 The ineffective sheriff (Henry Travers) is under the control of Buckley; he jails Reb when Reb is captured by Custer and his men. Reb manages to escape without being shot down as Buckley planned, hiding out at the Kincaid Ranch. Meanwhile, Buckley manages to get Custer ordered to Laramie while he finishes stealing all the valley’s cattle. Reb leads the ranchers in taking them back, and Buckley retaliates by offering Sitting Bull’s Sioux guns for taking care of Reb and his allies. 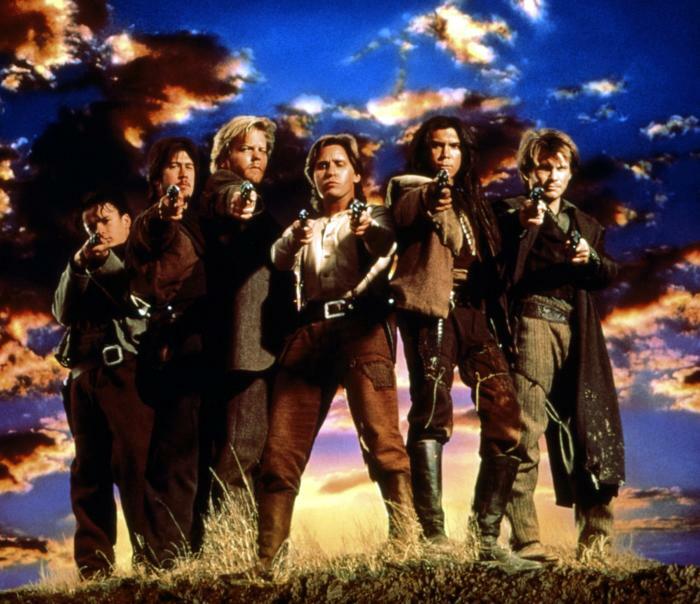 As they are besieged on the Kincaid Ranch, Custer and the cavalry ride to the rescue. 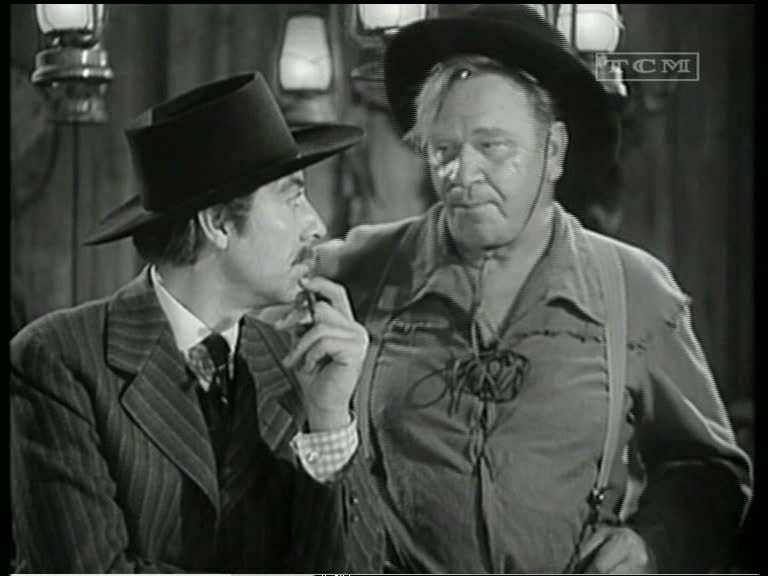 They take Buckley into custody, and look the other way with Reb. 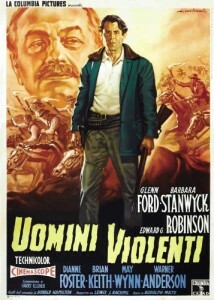 So Reb appears to get away with his previous life of crime, unlike most movies of the time. 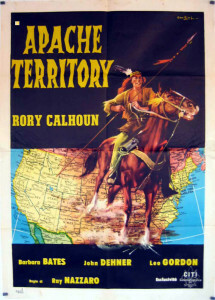 Custer says he’s off to the Little Bighorn to deal with Sitting Bull, and we know how that ends. 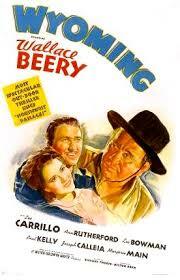 Marjorie Main and Wallace Beery begin a cinematic association that continues for several more movies. 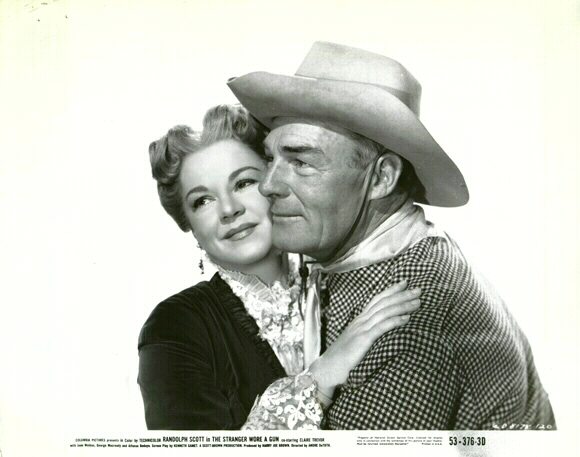 Beery was a decent actor, as demonstrated by his ability to depict good relationships with children despite the fact he couldn’t stand them and treated child actors badly. Eighteen-year-old Ann Rutherford, who had been a child actor, was doing ingenue roles in Andy Hardy movies and playing Scarlett O’Hara’s sister in Gone With the Wind. She did not get along well with Beery, either, but he was a much bigger star. 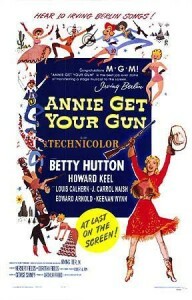 This kind of story played better in the 1940s than it does now, and the aging Beery (then 55) played variations on it for the rest of his career. 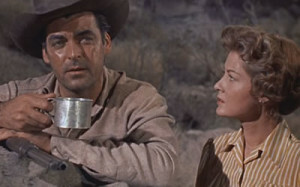 Malta-born Joseph Calleia was a good actor who often played villains in movies; he has better material in Four Faces West and Branded, however, where he played more ambiguous characters. 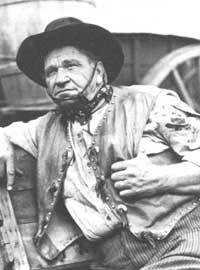 The blacksmith Lafe is played by an uncredited Chill Wills. An alternative early title was Bad Man of Wyoming, simplified to just Wyoming. 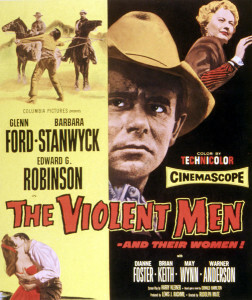 Director Richard Thorpe had made 50 silent westerns and worked on into the 1960s. 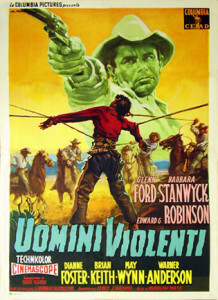 MGM put more money into the production of this film than it did into most westerns, and it was shot on location in Jackson Hole, Wyoming. In plot and location, this has eerie similarities to Shane more than a decade later. 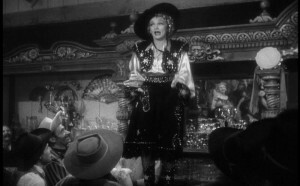 And it also has similarities to Beery’s own Bad Bascomb (1946) with Margaret O’Brien and Marjorie Main, also shot in Jackson Hole. To modern audiences it seems kind of old-fashioned, and not just because of the cinematic technology of 1940. In black and white, at 88 minutes. 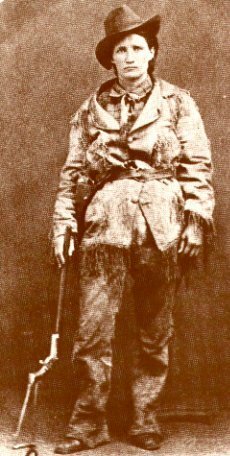 The earliest western shot in Jackson Hole is said to have been the silent movie The Cowboy and the Lady (1922), with ingenue Mary Miles Minter. 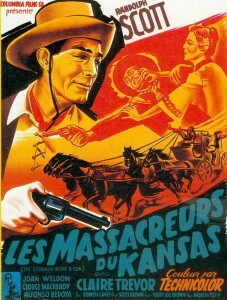 Part of Raoul Walsh’s The Big Trail (1931) had been shot there, with wagons being lowered down cliffs into the valley. 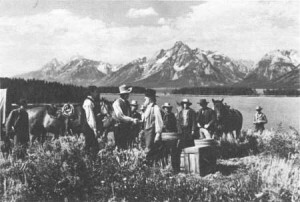 Beery was so taken with the place he built a cabin on the shores of Jackson Lake and even participated in a protest with local ranchers in 1943. 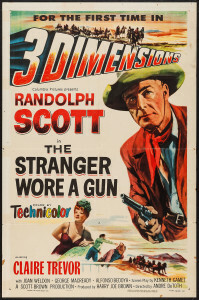 This entry was posted in Westerns Worth Watching and tagged Native Americans (Indians), Range Wars, The Mysterious Stranger, Trading Guns to the Indians, Train Robbing, Wallace Beery on February 2, 2015 by Nicholas Chennault.